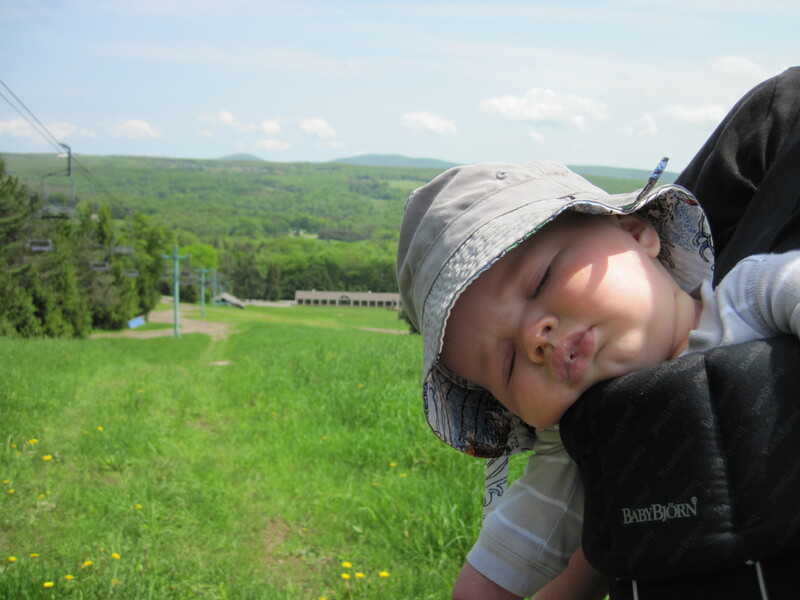 We took a family trip up to Elk Mountain on Friday, since Krister was fortunate enough to have the day off. We stayed at Kristin’s uncle’s house, which was right next to the Elk Mountain ski resort. We spent most of the day hiking up the lush, green ski slopes. 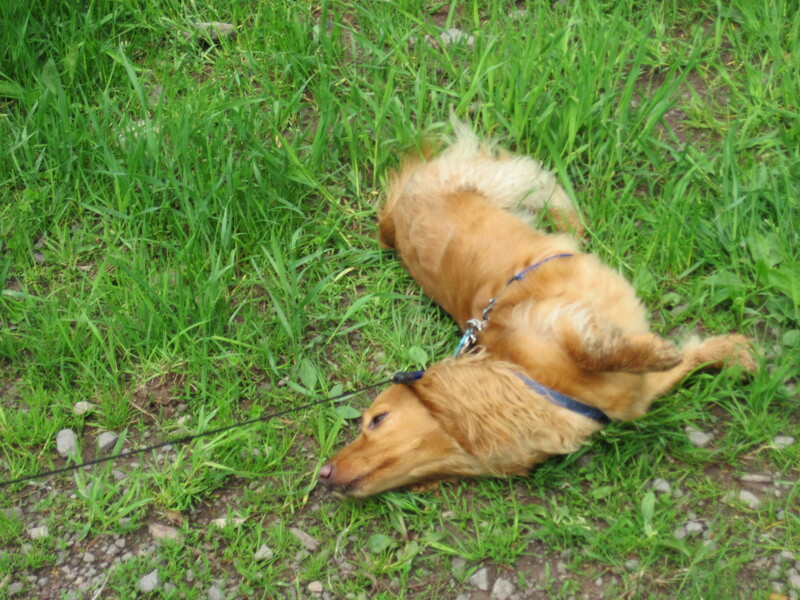 Kasen, as usual, slept through most of the hiking. 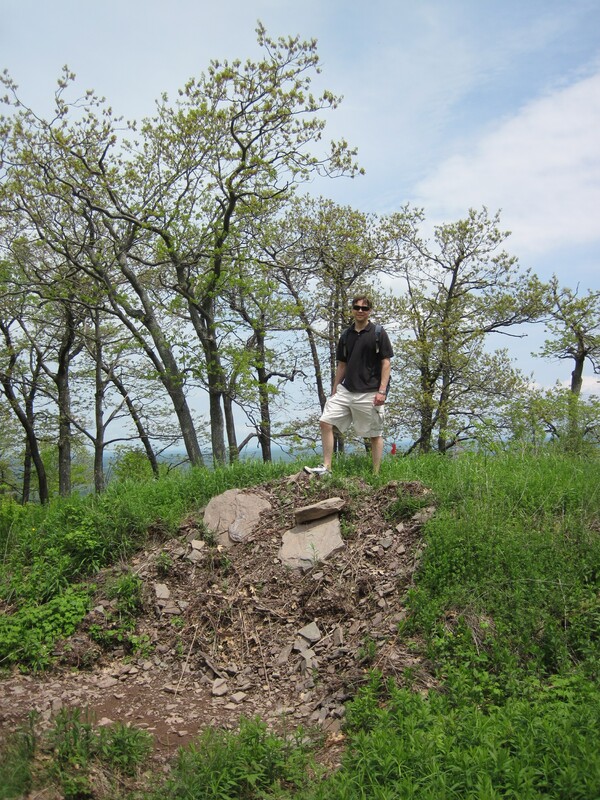 We hiked all the way to the top of the mountain. Gigi enjoyed her vacation from being a dog (during which time she acted more like a dog than ever): she frolicked in the grass, ate who-knows-what, and rolled in something. All of us enjoyed a fabulous view of Union Dale when we got to the top. 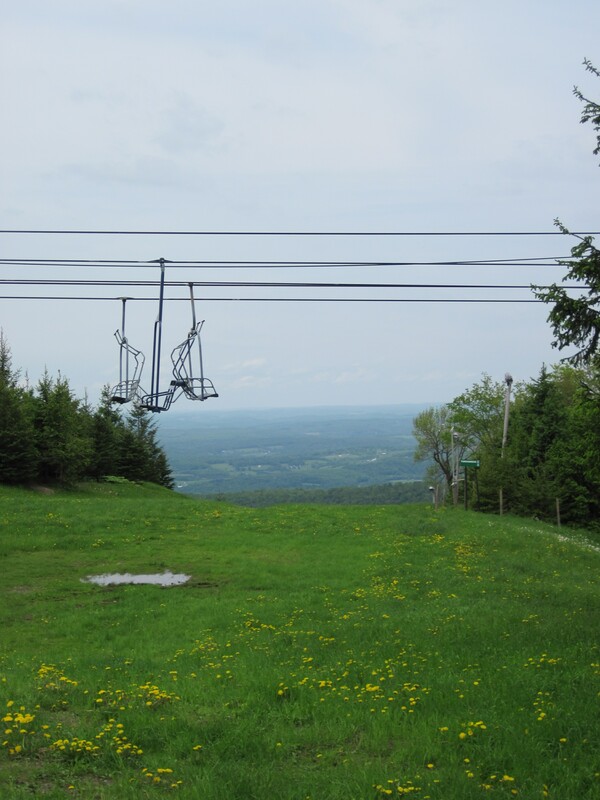 We also liked seeing the ski slopes without any snow – such an unusual view! After hiking, we were all worn out. 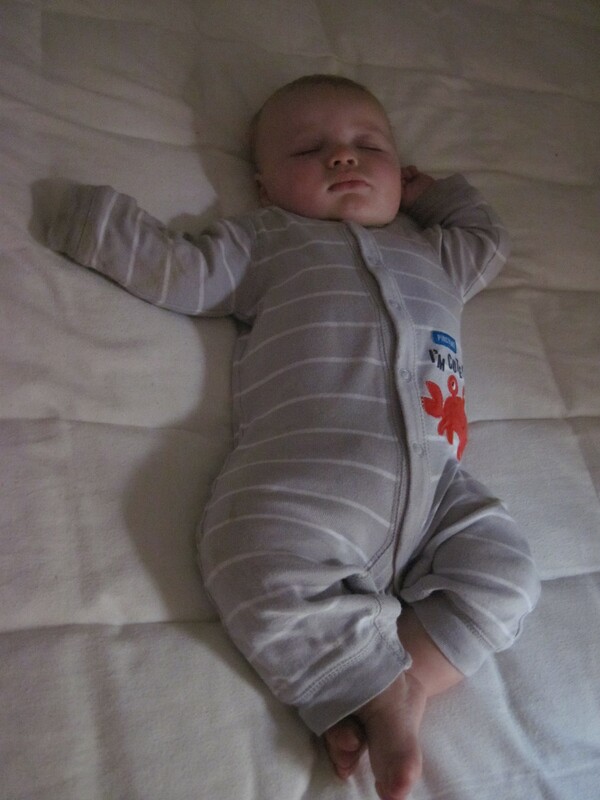 While Kristin & Krister ate an overdue lunch, Kasen slept some more. After we were all fed and rested, we set out for a boating trip. 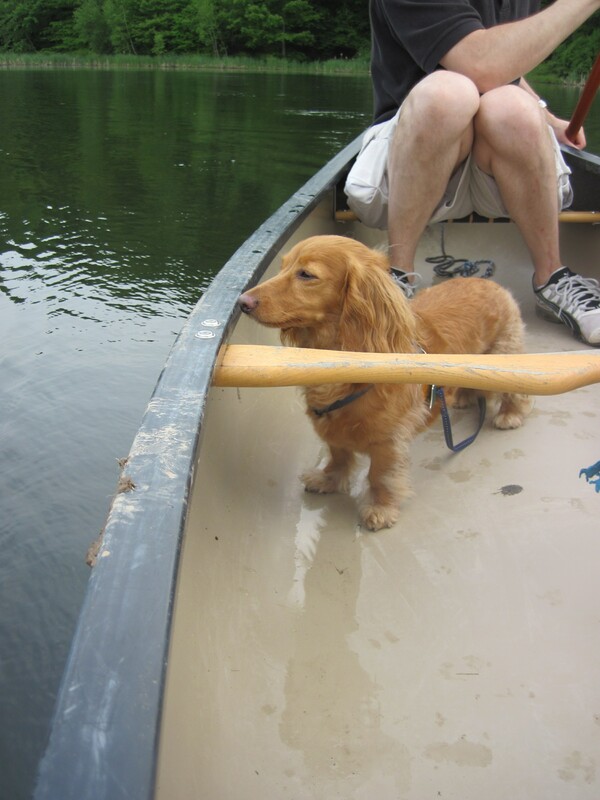 Gigi loves boating, so she was the first to hop in the canoe. The rest of us followed quickly behind. Krister was the only one with a paddle (since Kristin was holding Kasen and Gigi doesn’t have opposable thumbs) and he navigated us around the whole lake. 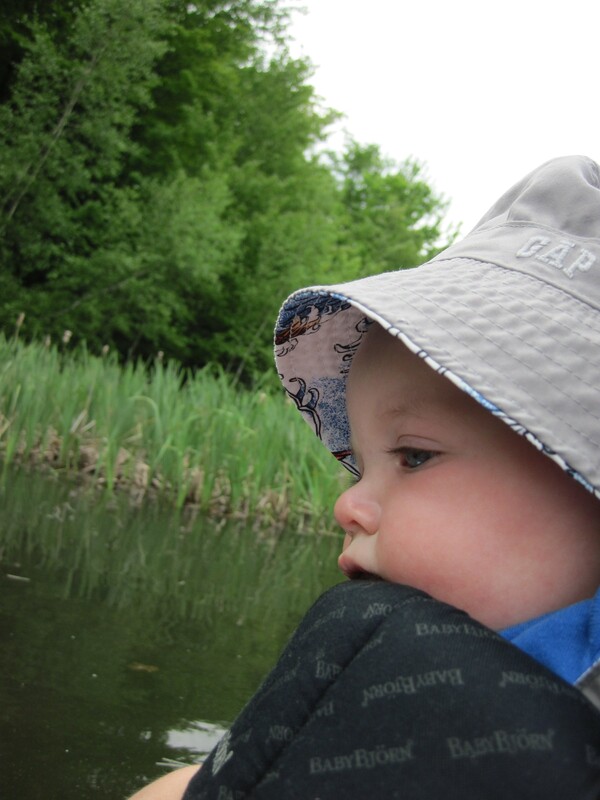 We even saw a 14-inch bass swimming through the reeds! 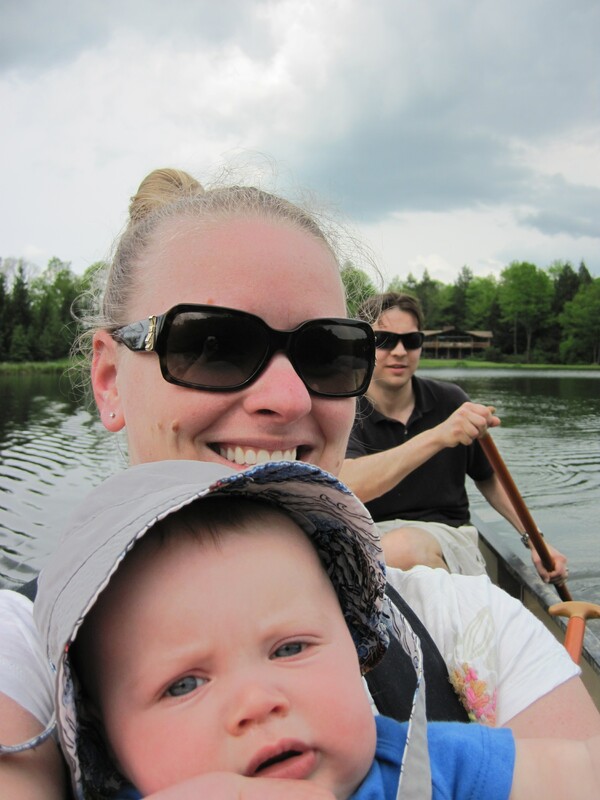 After our canoeing trip we headed back home. It’s a nice and easy drive back, clocking in at just over 2 hours. 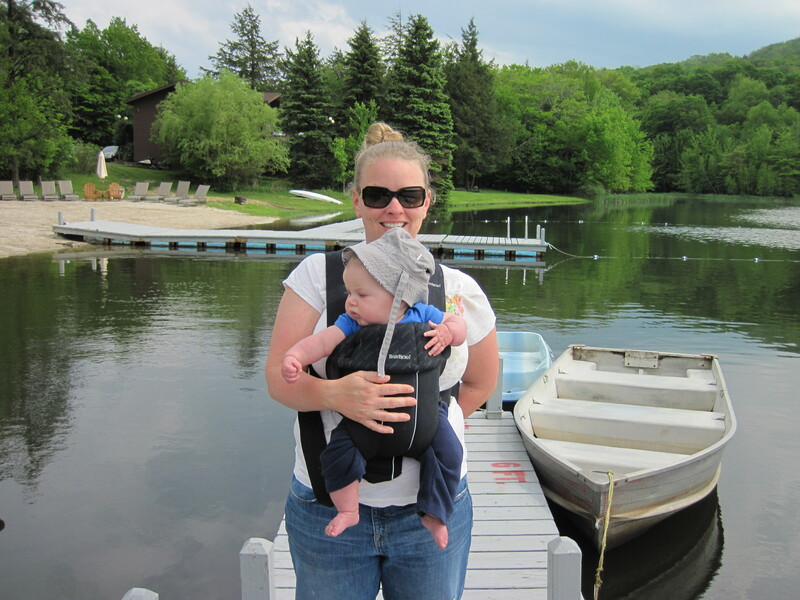 We can’t wait to go back up there for another family weekend soon! Glad you all enjoyed it – love the pictures! Especially glad the return was good!!! Come back ASAP!